Some may recognize Casino Heroes as the original Casino Saga. Every casino online strives to offer something unique. For Casino Heroes, this lies in their storytelling approach. They allow for player interaction by becoming heroes, who set out on journeys through gameplay, to win back the stolen crown. Casino Heroes offers a full section of games, which they are able to do because of their diversified choices in casino software providers. Not only does Casino Heroes offer a full roster of slot games, but they also have about twenty-two very impressive and exciting jackpot slots. The regular slots are made up of a mix that ranges from three reels, up to multiple reels, all provided by a good selection of software providers. For those that love slots with bonuses and free spins, they will not be disappointed at Casino Heroes. Casino Heroes offers a good selection of table games such as Casino Hold’Em, Super Wheel, Casino Stud Poker, Mahjong Exchange and Beat Me. Roulette and blackjack can also be enjoyed here, with a good selection of different versions of these games. The live casino at Casino Heroes works from Evolution Software, which has gained a reputation for being one of the best providers for this type of software. There are a variety of live casino games that consist of VIP tables, along with roulette, baccarat, and blackjack. The mobile Casino Heroes version does not carry the whole roster that the main casino does. However, it does include a good selection of both slots and table games. Accessing the mobile casino is quick and easy. This is a fast-growing casino in popularity. The platform depends on a variety of casino software providers. This includes NetEnt, Microgaming Betsoft, Push Gaming Quickspin, Yggdrasil, along with Play’N Go. There are several options for depositing, which are Fast Bank Transfer, iDEAL, Mastercard, PugglePay, Neteller, Visa, bank wire transfer, and Skrill. Casino Heroes allows for withdrawals through Mastercard, Neteller, Skrill, Visa, and bank wire. The maximum withdrawal per month is €20000, but additional arrangements can be made on higher withdrawals. Withdrawal fees do apply, and there is no manual flushing option. Withdrawal approvals are usually within three days. The main currency used for this online casino site is euros. 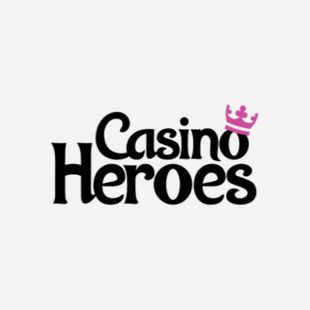 Casino Heroes supports several languages which are Swedish, Finnish, Norwegian and English. Being a high-quality casino, it focuses on providing good 24/7 customer support. The options are live chat and e-mail. Casino Heroes is fully licensed to cover all players. For EU players they are protected under the MGA license. UKGC licensing protects the UK players. Worldwide players are protected under the Curacao license. Overall, Casino Heroes seems to be an online casino site that has been able to come up with some new approaches and has quickly become a favorite casino site online for many. It is a trustworthy site, that focuses on fast payouts, and good online security.